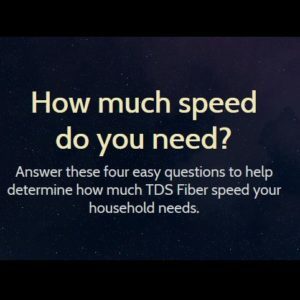 It’s a question for the ages—what internet speed do you need? Just like Goldilocks, you’re looking for the one that fits juussssssstttt right. After all, you wouldn’t buy a 1-ton pickup when to haul a single bag of groceries. But you also don’t want a compact sedan to bring home a couch. The tricky part is, what you haul on the internet is quite as obvious as that mattress you bought at Costco—but that doesn’t mean you can’t figure it out. The more you use the internet—in time, number of devices, and online activities—the more speed you need to get a great experience. 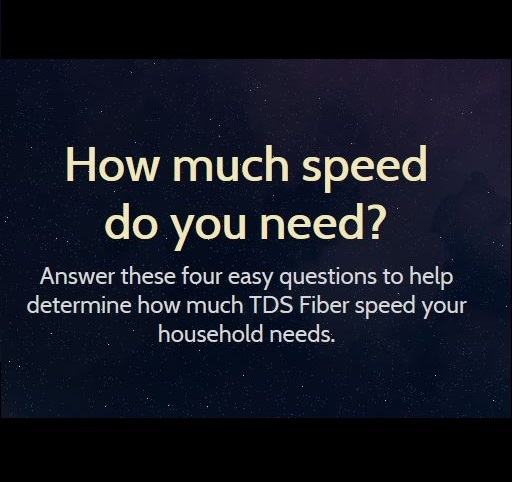 Lucky for you, TDS Fiber has three great options—Extreme 100 Internet, Extreme 300, and 1Gig. We know you’re going to find just the right fit!